I know that I’ve heard of ball joints being repaired or replaced. Is there a certain amount of time or mileage where I need to start thinking about this? Unfortunately, there is no schedule that corresponds with ball joints, however, we can tell you that many vehicles need to have their ball joints replaced at some point. The closest we can come to a mileage rate is 100,000 miles which is a good indication how long most of them last. But, your driving style can have a great effect on how long this product will last. If I have a ball joint problem then is it ok to keep driving on it? I’ve got important stuff this week and I need to hold off if at all possible. Unfortunately, the answer is no. You should not drive if your ball joint is damaged. If it is damaged then your steering knuckle and your control arm can become separated from each other. If they become disconnected then you will no longer be able to control your vehicle. What if my vehicle’s ball joint is just starting to go bad? Can I drive it then? It is possible to do so but there is a correlation between how badly it is worn down and the ability to drive the vehicle. If your ball joint is bad then your tires will wear out faster and your vehicle’s handling ability will be much lower. Your best course of action is to have your vehicle looked at as soon as possible to make sure that you avoid a steering knuckle and control arm separation. I’ve heard that ball joint diagnosis are difficult. How do you do them? Diagnosing a ball joint problem can be difficult because of the fact that the Charger will have to be lifted in order to do the diagnosis. The vehicle has to be hoisted. A technician or mechanic will perform a visual inspection for a torn or leaky boot located on the ball joint. They will also look at the tires as odd wear on the outside or inside of the tires are a give away of a worn ball joint. The technician or mechanic will also grasp the tire at the top and bottom so that the wheel can be rocked back and forth. If there is a problem with the ball joint then there will be a clunking sound or something like a clunking sensation when this test is performed. Back up, what is a ball joint in the first place? I get that it can cause problems if it is worn down but what is it exactly? A ball joint is a ball and socket that is inside a rubber boot that is filled with some kind of lubricant. It also connects the steering knuckle and the lower and upper control arms. I’ve heard this is related to the suspension system. How does that work? 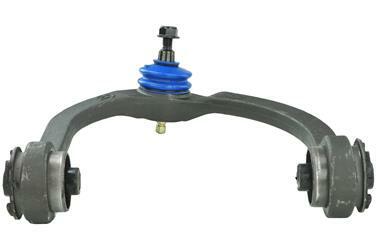 The ball joint gives the suspension the ability to move up and down. 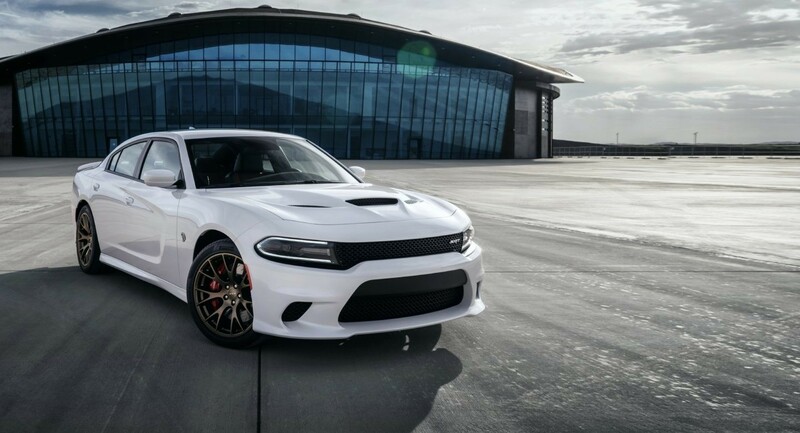 It also has a role to play in steering your Charger. If the control arm and the steering knuckle are not supposed to be disconnected then how do you change this thing out? The vehicle is not in use when the repair happens and that is what makes it ok to remove the ball joint. The vehicle is lifted then the ball joint is removed from the steering knuckle and the control arm. The suspension is also removed from the ball joint. Once all of those components are removed then the ball joint can be replaced. There are a few vehicles that need the steering knuckle to be disconnected from the strut as well. It is because there is a retaining nut that will have to be removed as well. It is usually on one side of the ball joint. It is important to note that this sounds easier than it really is in real life. There is tension between those pieces and it can make the removal of the nut much more difficult. Well, alright, what kinds of things would I be experiencing if I’m having trouble with my ball joint? Excessive wear and tear on tires or unusual wear and tire can be a sign that the ball joint is going bad or is bad. A lubricant leak from the ball joint boot is a good indication of a problem. Finally, if bumps cause a noise that sounds like a clunk or some kind of knocking then you might have a problem. You may even feel a knocking under your floorboard. If this is related to my suspension then would an alignment be a good thing to get as well? Yes. If you have a problem with your ball joint then an alignment is usually helpful to have done at the same time. This sounds expensive and way too much for me. Is there something else I can do? Unfortunately, a ball joint replacement is what you need and there is nothing really around that fact. However, we do have a program that approves around 95% of people who walk in the front door. If you have 25 dollars and a checking account then you will very likely be approved for the program. Stop by and we will see what we can do for you. How do I contact you and where are you located? You can call our phone during business hours by dialing 503-692-0846. You can also stop by and visit us at 19460 SW 89th Ave. Tualatin, OR 97062 during business hours.